Home Loans Which Loan is Right for You? 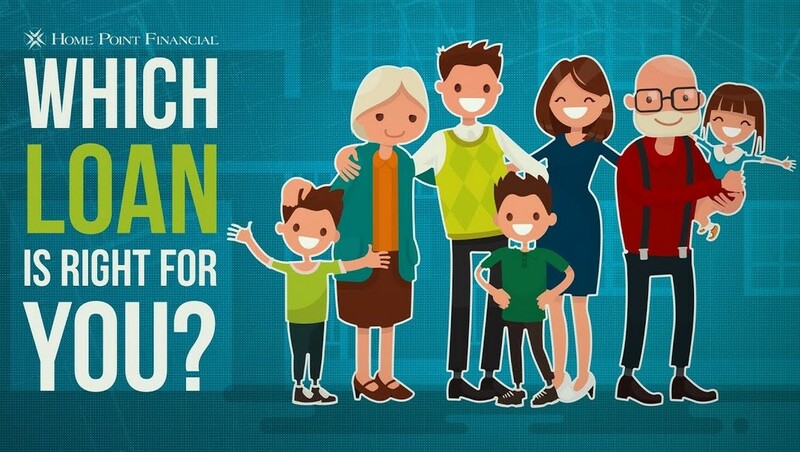 Which conventional loan is right for you? The right conventional loan program for you is contingent on your age, family size and current financial situation. With so many different loan choices out there, it can be difficult to decide which one will best fit your needs. In order to make an educated decision on which loan is best for you, lets dive deeper. A 30-year fixed loan keeps interest and payments the same for the entire duration of the loan. After 30 years, your loan will be paid off. This loan is more expensive than an adjustable-rate option, but it provides payment stability. The 30-year fixed loan is typically a good option for people who plan to live in their homes for more than 10 years. With a 15-year fixed loan, your payments will be kept the same and your loan will be completely paid off after 15 years. But, this loan will have higher monthly payments compared to the 30-year fixed loan. The trade off? You are paying your loan off in a shorter timeframe. Because of this, a 15-year fixed loan will allow you to build equity more quickly, but the high payments may limit the homes you can afford. Unlike the 30 or 15-year fixed loan, an adjustable rate mortgage may be a better option for those who are planning to sell their homes in a certain time frame. An adjustable rate mortgage (ARMs) is when your interest rate adjusts depending on market trends. This type of loan generally offers a lower initial rate than a 30-year fixed loan. There are many different types of ARM loans, but it’s important to know that when your initial rate period ends and your loan adjusts, you may be paying more with higher current market trends or less with lower current market trends. Alternatively, there are other loan options you may be qualified for.